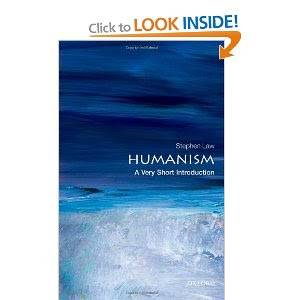 My Oxford University Press Very Short Introduction to Humanism was published on Thursday. Congratulations. Just pre-ordered on amazon.ca. Not available in Canada until the end of February. Estimated delivery March 2, 2011. Hate to wait that long because I would like to submit a review to Free Inquiry. Suggest add a direct (Amazon?) link. I thought I had, Fergus. Can't you see it? Excellent Stephen, this will be another great read as your other books. Ordering it now. Just checked it out on Amazon UK, where I procure most of my reading in science and philosophy. Will probably order it when I've finished my current one, Why Beliefs Matter; Reflections on the Nature of Science by E. Brian Davies, Professor of Mathematics at King's College, London. More than half way through and a very stimulating read. The link is both visible and works from Norway. Stephen, I have begun your new book. Firstly, most of us who who "organize under the banner of Humanism" have used the capital H for some time. I assume you adopted the small h for a reason? (maybe you explain this later in the book). What is the difference between a "non-natural mathematics" and a "natural mathematics". Surely all Humanists are committed to some form of pluralistic naturalism.